So a rumor dropped today like a neutron bomb all over twitter (first dropped by @criticalhits) that Wizards would cease publication of the core 4e books, and concentrate on Essentials. This was reported by Mana Nation, a Magic fan site. You can read the original post here. As you can imagine, everyone is up in arms about this. My suggestion, as with every rumor, is to take it with a grain of salt and analyze the situation. First and foremost, is Essentials. Essentials is a program designed to lure new players to the game. It is meant to introduce people to D&D with simple presentation and class builds. I get that, that’s fine and dandy. But once you have those players, you’ll want them to advance past the Essentials newbie stuff, and towards the big boys D&D. But what’s the problem with that? Well, I don’t know about you, but my PHB1 is horribly marked up with pasted paper, pencil marks, and 2 stealth rules thanks to all the errata that’s been pumped out. Do you want to sell people that are new to your game a book full of contradictions and mistakes? I wouldn’t. I’d pull it off the shelves too. Monster Manual 1? I’d pull it and update the math on at least the solos. Those chromatic dragons seem a bit off, no? While you are at it, all the DMG errata regarding skill challenges and the page 42 table could use some updating as well, no? After all, if you are going to eventually want these people that are new to your game to buy your $40 books, you want to give them a proper set, no? So I wouldn’t worry too much. My gut feeling tells me that while the books may leave the shelves for a bit, WOTC prefers to intro the game to new players through Essentials, and then graduate on to the hardcovers later… and to newer prints, with up to date rules. Maybe I’m way off base, but that’s my feeling. What would this world be without a good Internet flame-storm? Good analysis– you are spot on. Agreed, and well said. The last thing 4E D&D needs is another edition war while we’re still fighting the 4E vs 3.75 one! Why are so many people trying to hate on WotC for an unreleased, well-intended product? Don’t fear the crit before the die is rolled, people. Name another RPG that changed drastically enough in the first two years of publication that its “core” books became not only obsolete but also a hindrance to attracting new players – all without warranting a new version number! I agree with you on all points. While I am not drinking the Essentials Kool-aid just yet, I think to cease core book publication would cause a massive uprising against WotC. With the Rules Compendium coming out, there’s no real need to re-release the DMG or the PHB. Now, it would be nice if they would update MM1 in PDF form and release it free like they did with Keep on the Shadowfell (2 months after I bought it…). BTW, WotC, if you do that, please use the MM3 stat block format. Makes sense to me. You can still play a perfectly functional game of D&D 4e with the current book versions. But as soon as you use the Character builder (and why wouldn’t you?) you suddenly realize there are so many errata that it’s impossible to actually keep track of. Besides, they’ve already released “Deluxe Editions” of the first three core books with errata built in. Of course, that errata is over a year old now, but at least they did it. While I agree with you, I wouldn’t be surprised either way. Listening to their podcast, WotC said they are basically taking a year of design and dedicating it to Essentials. Then, after that year, they’re jumping right back into core books. I think it would make sense for them to stop printing existing core books, to drain the channel, then after Essentials is completely out there, to re-release updated versions of PHB1, DMB1 and MM1. And to all the people saying the core books are obsolete? That’s simply not true. For the average gamer, they are still all you need to play a great game of 4E. The original ManaNation post is tabloidy. I’d like to point out that “cease publication” could simply mean they’re not going to “print” core books for awhile because they already have enough supply available and don’t forecast the demand of 4e core books exhausting the supply before they DO (possibly; hopefully) make some kind of version update and reprint. I suspect the “tipster in question” overheard some fragment of a sensible business strategy discussion and now it is being blown way out of context. 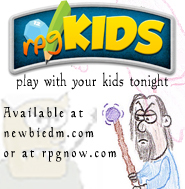 I’ve been wanting them to publish new, updated PHB’s for a while now. It’s kind of amazing to me that they haven’t been updating them as they go. I’m sure it’s a lot of work to do the new layout and such but clearly they did it for the deluxe editions, so… just use that as a template and go from there. Are you listening WoTC? I’ll buy books I already ownagain to have the errata and typos in them fixed! That being said, the game is perfectly playable with just the core books, but I do think a lot of the errata and the clarifications and such do help improve the game (perhaps _especially_ the clarifications and rewording of some stuff that was a bit unclear before). Honestly, looking at this from a sales point of view – they have a TON of core books out there. Every bookstore in my area has at least 5 of each and probably a box in the back. They are a glut on the shelf. And some stores try to keep a decent amount in stock. If you stop printing them, you basically phase that printing out… and prepare everyone for a new printing (with errata, etc). When that new printing comes out – your distributors have been unable to purchase that book for a year – and have sold their backstock. They won’t have boxes of “worthless” books on their hands. Thank goodness I don’t play with any gamers like this! My group is happily using pretty much all the core books as well as the newer releases (DMG2, MM3 etc) combined with certain rules from previous editions that we liked enough to keep around and we have no issues whatsoever. I’m constantly amazed that some people say certain core books are obsolete or unusable. Sure, maybe a table has been updated, or a stat, or the way you generate monster HP or EXP budgets, but nothing truly game breaking. In fact, we’ve played with and without certain errata, without even noticing. The 4E game is incredibly versatile and the fact that D&D has ALWAYS put fun and gamers first, means that rules are just guidelines anyway. If something seems out of balance, whether its a current rule, errata, or a different version that has crept in, it’s all the same. You use what you want and don’t use what you don’t want. I don’t know about you, but I still play with my original books, no pasted-in errata or pencil marks. I have a feeling that it’s only on the internet that I’m in the minority. I have to agree, and Dave Tavener makes a good point. The release of Rules Compendium *should* be a complete book that will make the first printing of PHB and DMG obsolete. However, if it only covers rules for playing 4E, then there is still alot of missing info, like Character Powers, Adventuring gear, elite monster templates, hazards and traps, etc. That pretty much means that WotC will have to reprint new errata-correct Core books to replace the old ones. Now, my only fear is that they will decide not to do a new printing, which means we pretty much have an “Essential” version change to 4.5 – and I really pray WotC/Hasbro is not stupid enough to think it isn’t going to cause an uproar. You’re not even in the minority on the internet. It’s only the uber-gamers who would consider the original core books obsolete. A gamer who has never played before could go buy them today and run an adventure published this year….easily. I know because I just saw it done. There were no issues of major consequence. The game was as smooth as ever. Most of the errata I’ve seen has been more for clarification than anything, and a few changes that disallow behaviors that only very motivated (and unscrupulous) gamers would seek to take advantage of. You really have to have an interest in the minutiae of the game to notice the changes (or lack thereof), let alone be bothered by them. I’m not saying that’s wrong, I’m just saying, it’s certainly a very small subset of gamers I’ve ever been involved with in over 25 years in the hobby. A good litmus test of the rumour is the pending publications on Amazon. That suggests at least that WotC has been working on non-Essentials stuff while the essentials line has been under production. Which is worth as much or as little as the individual reader desires because WotC has admitted in the latest podcast that Essentials went through a shorter design period than most products (12 months as opposed to 13 or 14), but with essentials out in September 2010, a gap of 6 to 7 months suggests that “core” is still getting some love. How much remains to be seen. If we don’t see any new non-Essentials stuff posted on Amazon in the next few weeks/months, I’d take that as a pretty clear indication that Essentials is the new D&D. If we do see some (especially player-focused books), then “core” 4e is alive and well. With any luck this will bring about the end of 4th edition . Which was terrible at best . I can see a 5th edition on the horizon , but unless somehow Gary Gygax can write it from beyond the grave , it will be as bad if not worse then 4th . 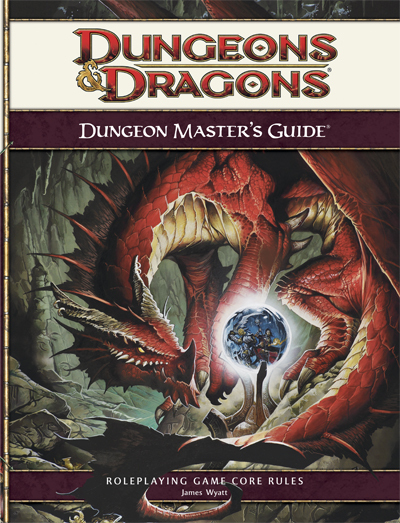 There is a reason that Pathfinder is a very popular RPG , its DnD 3.5 expanded . 4th Edition was WOTC’s attempt at bringing the console gamer to the table top , in the age of online play table top RPG’s have to become more visual as to grab the attention of your average gaming slob to make any money . Sad , but true . Hmm. I don’t recall gary Gygax being too impressed with 3.0 either. Just like me. Umm… 3rd edition with the 3.5 update? Well this whole thing has just troubled me. I finally made the full jump into the game a few months ago by buying the DMG and MM in order to DM for the group. I understand that most of the rules in the core books are still good, but it’s the sheer weight of minor changes which is a tad upsetting. Why did I spend 60 bucks on those books? I have to admit that I agree with you there. I am of the belief that the phb and dmg should be pulled off the shelf. There has been far too much errata, and the books are outdated and it is unfair to keep selling them, imho. I did exactly the same thing. Got back into the game a few months ago. Bought an off the shelf module and ran it with no problems. I realize there’s a lot of bits and pieces of errata, but I don’t understand the real complaint. I played a module published 2 months ago, using only the original PHB, DMG and MM published 2 years ago and had absolutely zero issues. Why would they ever stop selling the books? Never even would have known there WAS errata had it not been for all the complaining on the web. Let me say this clearly. If you’re a newbie, or a lapsed gamer and you buy the PHB, you’ll learn 4E just fine and be able to run published modules as well as homebrew campaigns just fine. So whats the problem? Sure, I think they should republish with errata updates, thats a no brainer, but I see no reason to stop selling the existing ones until that happens. If you care about the errata, print it out, or just learn it. Otherwise, just ignore it and play. To be perfectly honest, I’ve still never even looked very closely at the errata. I just don’t care. The game runs great for me and my group. The problem comes into play when you are playing with different sources. Like if a player is using the character builder, and another is not. There will be issues with powers funcrtioning differently. Take the wizard’s magic missile for example. As written in the book, it is way different from its actuality post-errata. It can create issues when some players are errata aware and some aren’t. Yes, you can choose to ignore it just fine though. I ignore some myself. I find me referencing the books much less though, and using ddi for the majority of my stuff. These problems will exist whether or not they republish the books. As soon as a single errata exists this can happen, so it’s not a very good barometer for pulling books off the shelf. The core of the game is unchanged, and the existing PHB does a good job teaching that. Imagine if they had followed peoples advice, months ago and reprinted with errata (people have been clamoring for it at least that long), you’d STILL have the magic missile issue and then need to reprint again? Impossible. Our rule of thumb is, if you want to play with a specific errata, bring it on paper to the game. Otherwise, as a group, we try to be errata aware as best we can, but any conflicts are settled at the table and we move forward from that point. Generally, if one player is “errata aware” he brings the table up to speed and we use it. In the case of magic missile, we’ve chosen to ignore the latest change.